It’s a little known fact that Berlin is designated as “City of Design” by the UNESCO. The Creative Cities Network of UNESCO awards a city for each of the following seven categories – literature, cinema, music, folk art, design, media arts, and gastronomy. 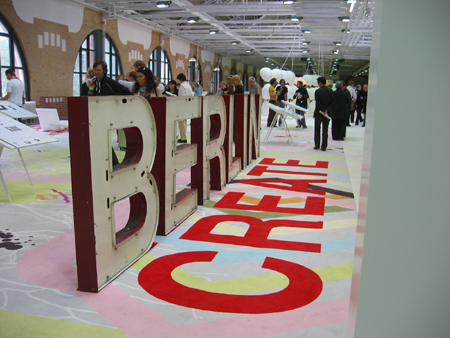 Within the design category, Berlin was appointed following Buenos Aires and became the first City of Design in Europe. The criteria to become the City of Design are for example: established design industry; cultural landscape fuelled by design and modern architecture; characteristic urban design (urban spaces, buses, trains, subway stations, newspaper and magazine outlets, benches, garbage cans, public lighting, fountains, gardens, etc. ); and avant-garde schools of design. On top of that, there is the criterion to host fairs, events and exhibitions with the focus on design. 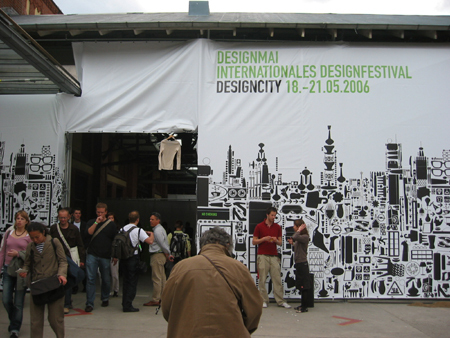 In Berlin, DESIGNMAI International Design Festival was held from May 18th to 21st, 2006. This year marked the fourth year, and the 9,000 square-meter former postal train station was chosen as the main event hall. More than 80 designers, architects, and artists were featured in this hall. Concentrated into four days, its aim was to explore metropolitan environment and urban problems through design. 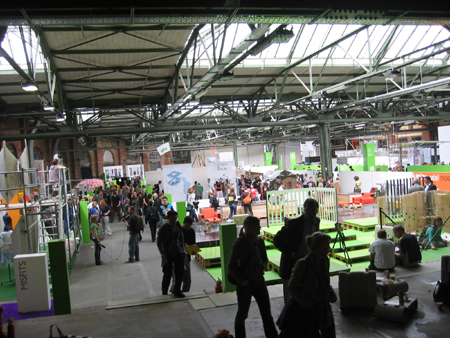 Every single day, there were symposiums, workshops, and Berlin bus tours based on the theme “City and Design”. The event covered a lot within such a short period. On Saturday, 20th, the main event hall was crowded with old and young alike despite the rainy and windy weather. Visitors were listening attentively to the participating designers standing in front of their art works. When there is someone already sitting on the bench, don’t you sometimes hesitate to sit down? Or have you ever turned around just because you were curious about what is going on behind your back? A new kind of bench seemed to relate to such feelings. 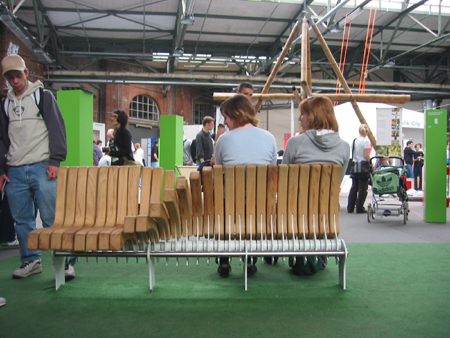 Wooden bars are placed like a skeleton and move according to how people sit on it. Once someone gets up, the shape of that person remains on the bench like a wave. This bench is a work of Thomas Schneider. 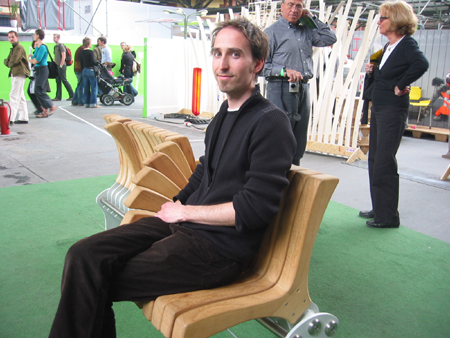 With a smile Thomas Schneider said he did not like ordinary benches in public spaces, thus he wanted to create an interactive bench that provides a close connection between human and bench. He considered wood as a material, because it feels nice and can provide comfort for sitting. “When everyone goes home at night and nobody is sitting, the bench becomes a sculpture. Sometimes it’s straight, and sometimes it’s wavy. It becomes a different sculpture one day after another.” As of now, there is no plan for a real use in public space, but he is looking for a purchaser. It was a particularly popular item for kids, and I hope to see it in a city in the near future.